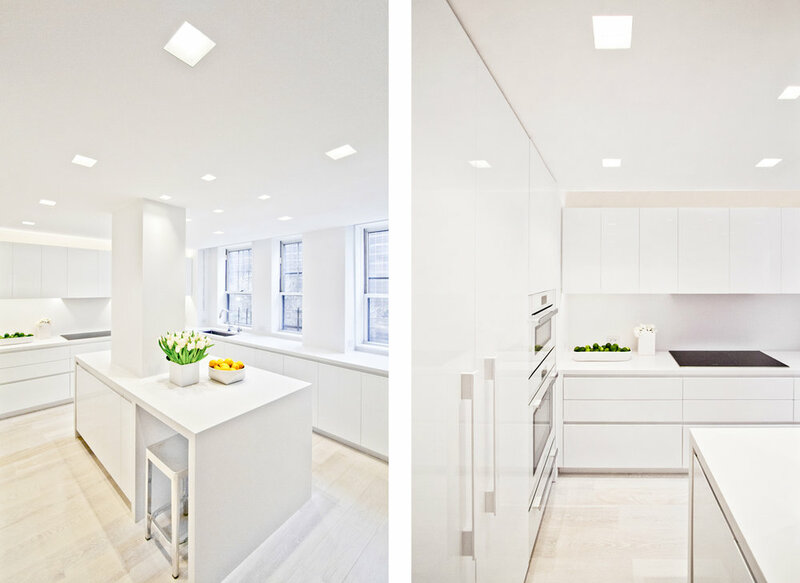 Designed for a prominent New York City-based fitness mogul and her family, this chic, modern apartment renovation strives for simplicity. The spatial organization is clear, open and flexible; the materials are subdued; details are meticulously precise, yet subtle; and care is taken to imbue sophisticated refinement. The interior architecture becomes a bright, gallery-esque backdrop for the owner’s bold furnishings and artwork. 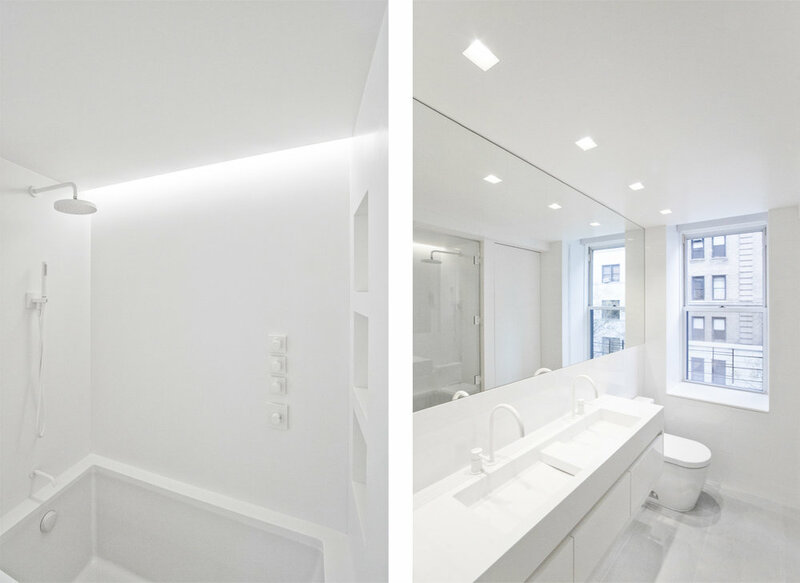 Whereas the vibrantly furnished communal spaces and bedrooms are expressive and flashy, the bathrooms—and especially the master bathroom—are designed to evoke tranquility, offering spa-like respite from the bustle of the Manhattan lifestyle. This project is preoccupied primarily with efficient use of space (which is critical for any Manhattan dwelling where the dense urban character makes space especially precious), particularly by employing extensive built-in millwork throughout as integral architectural expressions while simultaneously providing ample storage for a busy family with two young children. A dialogue is successfully achieved between the sleek, modern palette implemented during the renovation, contrasted against the raw industrial character of the building’s original steel columns, which were originally disguised behind walls, but exposed during the renovation to become beautiful featured design elements and to provide historical texture.